The shelter opens its doors all year, it is located in a very calm area where visitors can settle in the trees of walnut and cherry for relaxation. In addition, they can also plant tents in case they want to camp, with reasonable prices. If there are people who prefer to spend the nights in tents qui'ils prevail, we have a kitchen ready so they can prepare their meals. 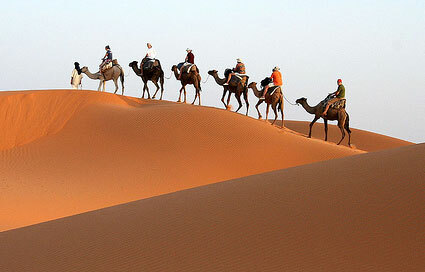 We are a team of mountain and sahara desert specialists; we have been operating for a many years and have acquired extensive experience in designing suitable travel packages. We offer all sorts of adventure journeys in remote areas of Morocco; in both the Sahara and mountains where we have established close relationship with local families. Our substantial team consists of professional guides, camel drivers, camp assistants, cooks, 4x4 vehicle drivers, muleteers, bike instructors, horse back instructors. In the village Armed we born and expanded in many families who are interested in tourism that has especially on the last village accessible to ascend to Toubkal, we started as muleters until we took the secrets of High atlas and we nominate as escorts of the federation of mountain federal guide, now we organize treks and trips throughout the territory of Morocco, in desert and the atlantic coast the Dades Gorge and especially the high - atlas that is symbolized by the Djebel Toubkal with its height of 4167m. Mountain guide state diploma since 1988 he earned this diploma frames by mountain guides French (Franco-Moroccan) il a egalement effectue des stages de haute montagne a Briancon, d'escalade dans les gorges du Verdon, de ski a Chamonix etc. 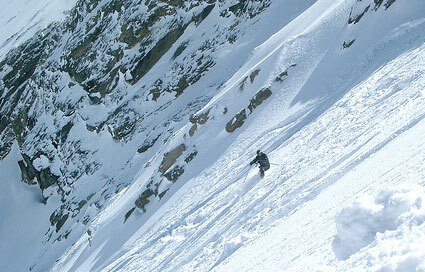 He also conducted training courses for high mountain Briancon, climbing in the Gorges du Verdon, ski Chamonix. Member of a Travel and Tourism Agency. The adventure is a passion and he was able to participate at the Marathon des Sables. In the great crossing of the high Atlas (M'Goun-Toubkal) Lovers of nature is very often accompanies a passionate friend of flora and working with the Kingdom of Morocco on the preservation of animal species. Abdou Idblaid is a young mountain guide, and a certified Royal Guide of the Federation of Skiing and Mountaineering. He has extensive experience as a guide in the High, Middle and Anti Atlas Mountains, trekking in the Sahara with camels and along the coast near Essaoueria, as well as mountain biking, skiing, horseback riding, and rock climbing. 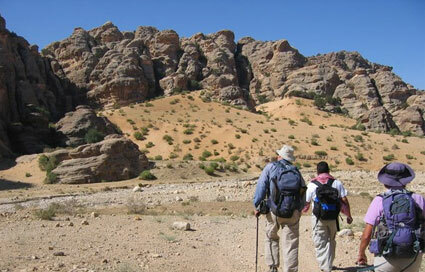 Abdou is very knowledgeable in the history and culture of Berber villages, and the plants and animals of all Morocco. Abdou was born in Armed Village at the base of the highest peak in North Africa, Jbel Toubkal. He has an excellent reputation as a mountain guide and is able to guide groups of up to 30 people from the Atlantic or Mediterranean coasts to the Sahara Desert, and the Atlas Mountains between them. Let Abdou be your guide and show you the beautiful sights, sounds and experiences of Morocco.